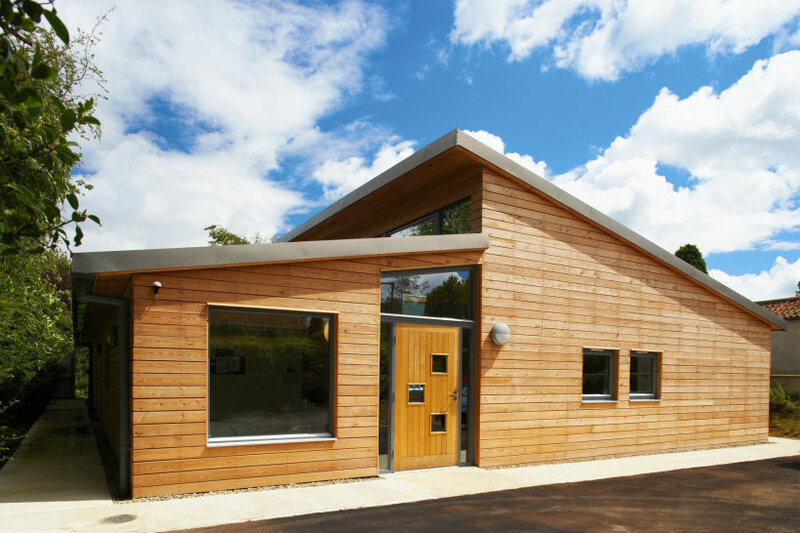 The new timber framed village hall is located in the charming Castle Howard estate village of Welburn. It was designed to incorporate many renewable technologies to attract funding and reduce the running costs and carbon footprint of the building. 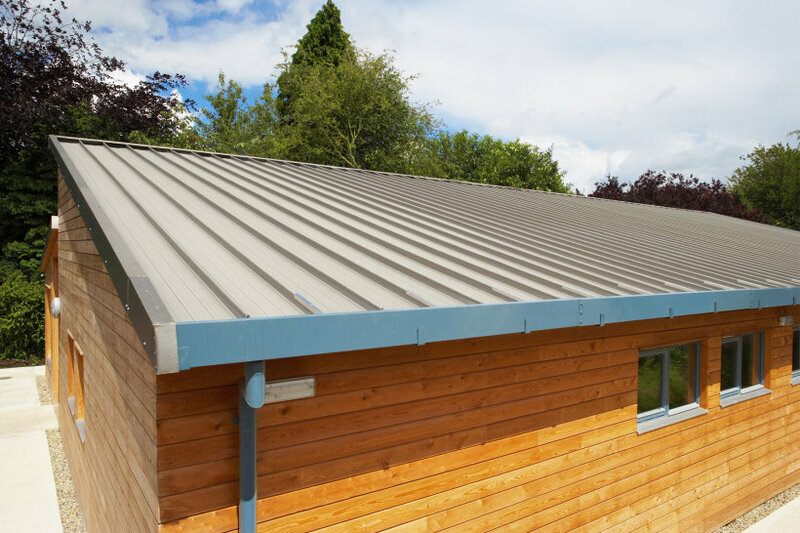 A recycled aluminium roof, highly insulated with recycled news print insulation, triple-glazed windows, good natural lighting and ventilation, sun pipes, air source heat pump, and sustainably sourced timber cladding were all included in the construction of the building. 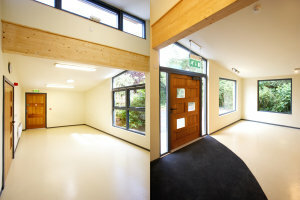 Internal finished were stipulated to be made from recycled materials to comply with conditions of grant funding. 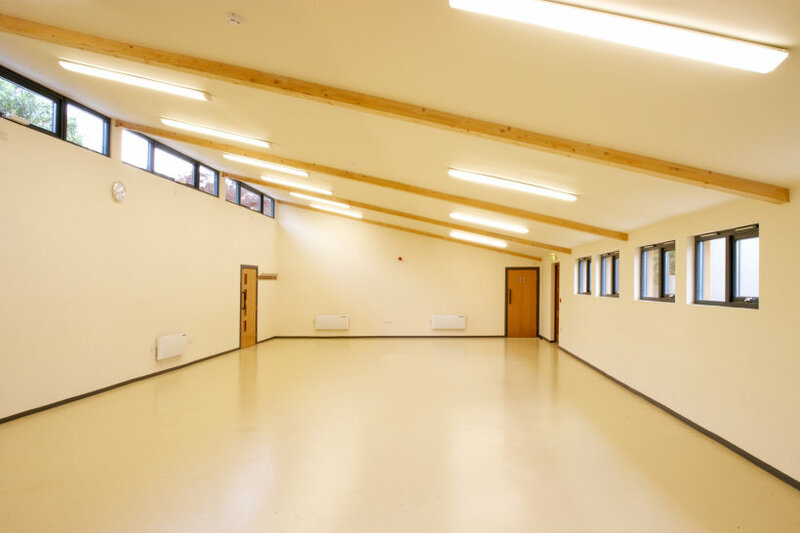 The wider benefits of the building include rentable office space for local business, permanently accessible W.C. facility for passing walkers and a base for the International Rescue Service.